A260-acre site will be the home of a new FedEx Ground distribution center in Middletown, Conn. Manafort Brothers of Plainville, Conn., is the contractor charged with the site development, including the grading and installation of all storm water management facilities. 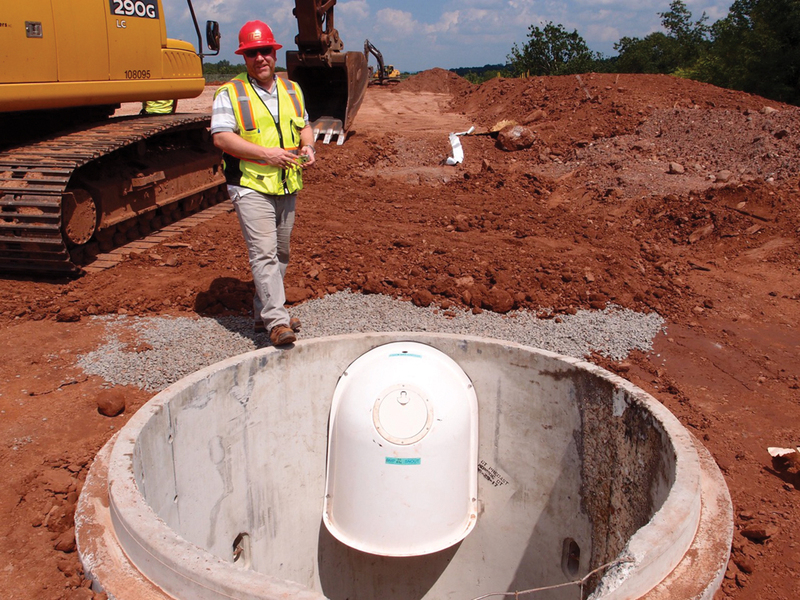 B L Cos. of Meriden, Conn., specified the Snout oil and debris stop from Best Management Products of Lyme, Conn., for storm water quality improvement in many of the drainage structures. Kevin Bukowski, project manager for Manafort Brothers, said his crews have installed more than 25,000 ln ft of concrete pipe, 70 drop manholes and 150 catch basins on this project. Bukowski’s team mounted Snout water quality hoods, ranging in size from part numbers 18R to 52RTB84 in almost 100 sumped structures. The hoods help keep sediment and debris from the detention ponds and underground concrete vaults designed to store and detain the runoff from this large site. The FedEx Ground center will go into full service in 2018 and employ more than 400 people serving customers in New England and up and down the East Coast. Best Management Products was proud to partner with Ferguson Waterworks and Manafort Brothers on this central Connecticut development project.